An avian-inspired new technology could harvest clean drinking water from foggy skies. 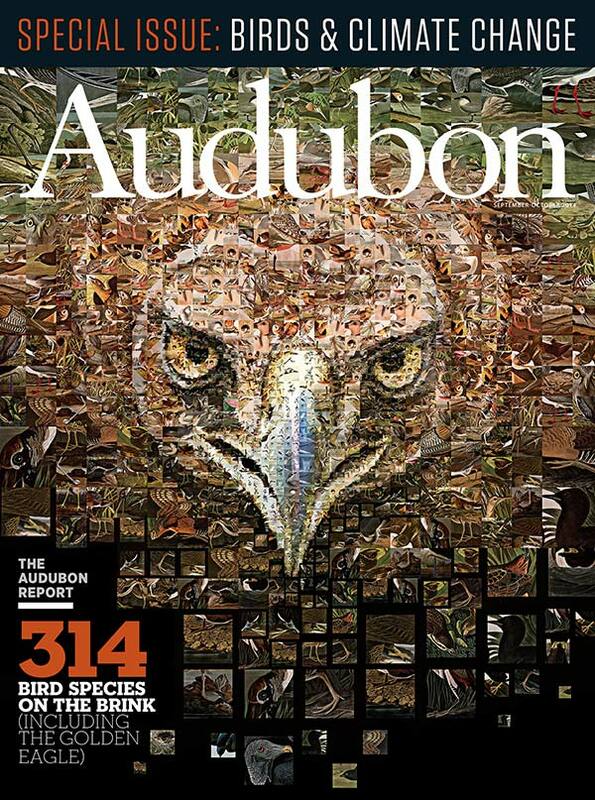 Editor’s Note: For our September-October issue on climate change, Audubon Magazine editors compiled nine new ideas to curb carbon emissions. Since then, innovative new solutions for powering our world while protecting the planet keep sprouting up. We'll continue covering these in our Green Lights column. Deserts and drylands cover nearly half of the land Earth. Providing clean water to the 2.1 billion people living in these areas is a growing challenge as we face desertification. Efforts to desalinize ocean water have been costly and inefficient, but a new solution inspired by nature itself could bring clean water to millions of people with a smaller carbon footprint. The Idea: Collect water from fog in deserts and other regions where water is scarce using a method borrowed from birds. Researchers at the University of Texas at Arlington observed shorebirds such as phalaropes opening and closing their beaks in order to move water towards their mouths. The unusual drinking method inspired the researchers to create a beak-like fog collector. Composed of two plates joined at one end by a hinge, the collector accumulates water droplets on the inner surfaces of its “beak” while in the open position. Closing the “beak” merges tiny droplets into larger drops, which are able to roll towards the collection tube located near the hinge. Why It Just Might Work: Most of the precipitation in coastal deserts typically comes in the form of fog or dew. Initial trials of the beak-inspired fog collectors captured between 400 and 900 times more water than both existing artificial fog collectors and natural collectors, such as beetles and dune grass. Over the course of about 30 minutes, a 10-inch by 4-inch prototype harvested about a tablespoon of water. While that may not seem like a lot, the simple design is easily scalable to meet an area’s needs. Why It Might Not: Unlike some existing artificial fog collectors that rely solely on condensation and gravity to gather water, these beak-like collectors require additional energy for opening and closing the plates—and built-in renewable energy options like solar panels will likely fail amid the fog. The surfaces of the plates must also be extremely smooth to achieve high efficiency. Climate Factor: People living in remote desert areas often rely on trucks that deliver drinkable water. 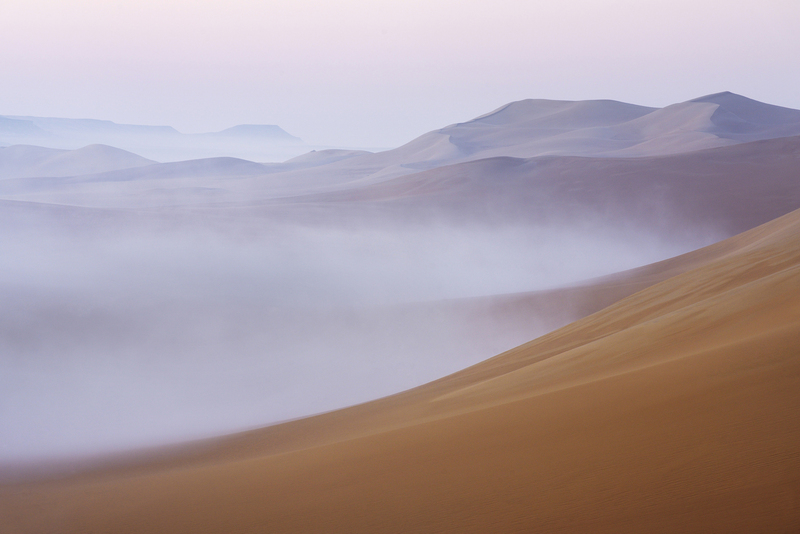 Fog collectors could lessen the need for such fossil fuel-powered transport of water in coastal deserts by supplementing the water supply in these regions. Show Me the Money: The plates, made of either glass or acrylic, and the hinge are fairly low-cost. For the small prototype, these materials cost only about a couple of dollars each, but these prices would scale up for a larger collector. Much of the cost would likely result from spraying the plates with a super-smooth silicon coating, a process which requires more expensive equipment. But since the research explaining the prototype was successfully published in ACS Applied Materials & Interfaces last week, researchers are now turning their attention to implementation. Time Horizon: Fog collectors with different designs are already being field tested in areas such as central Chile, but the timeline for implementation of the new beak-inspired model is still unknown. Scaled up models that open and close automatically are in the works. Top Image: Morning mist rises over a sand dune in Matruh, part of Egypt's Great Sand Sea in the Sahara Desert.